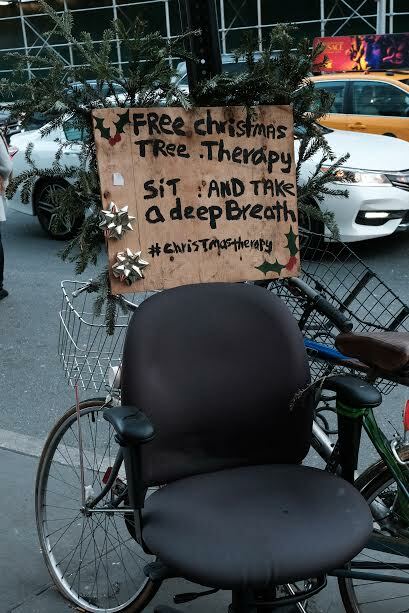 Free Christmas Tree Therapy on Lafayette at Houston. Get it before it's mulched. Photo today by Derek Berg.